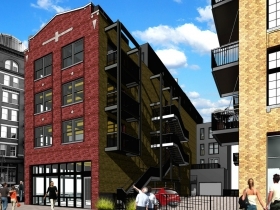 Former warehouse becoming apartments in Third Ward. 203 N. Broadway. Photo by Jeramey Jannene. 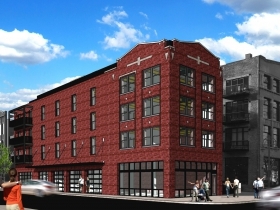 Conversion of a Historic Third Ward warehouse into apartments is moving right along. 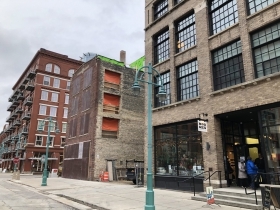 Kelly Construction & Design is converting the former American Wholesale Grocery Co. warehouse at 203 N. Broadway into seven apartments for Margaret Martin. Engberg Anderson Architects is leading the project’s design. 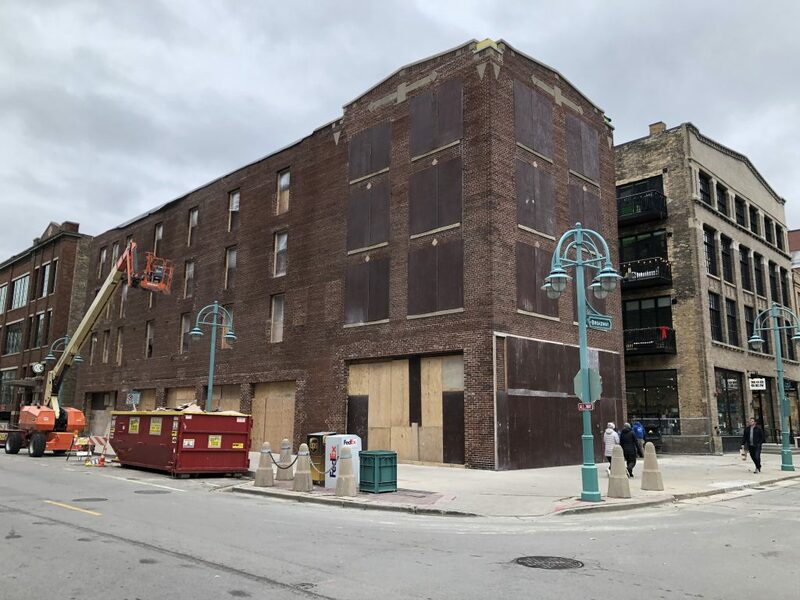 The building is familiar to many Milwaukeean’s as the home of Paintball Dave’s, which allowed guests to wage war within its walls for 28 years before closing in 2016. Martin acquired the building for $1.5 million the same year. 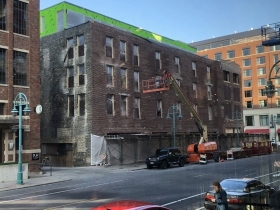 The building, containing 14,400 square feet of space spread over four levels, is getting a fifth floor as part of the redevelopment. 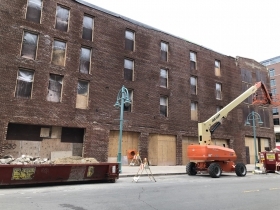 The first floor will be maintained as commercial space. 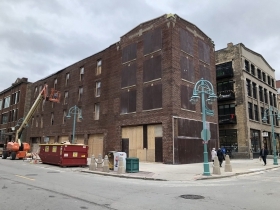 Martin had originally secured approval of a plan to create seven apartments in the structure in 2016, but because no work had taken place, she had to be reapproved by the Historic Third Ward Architectural Review Board earlier this year. 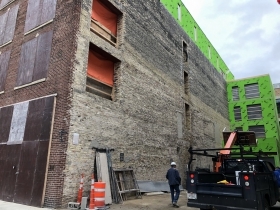 Michael Horne covered the seamless proceedings for Urban Milwaukee. 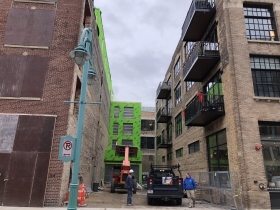 New residents will find themselves living next to another Martin project, the 2016 conversion of the Martin Building into apartments and two commercial stalls. Kelly and Engberg Anderson also worked with Martin on the project. What a relief to see the building re-invented so well.